The Continuous Mixer is used for mixing hard dough and soft dough for cookies and tea biscuits. 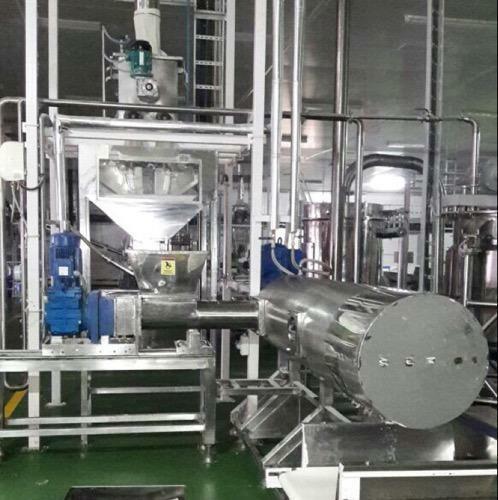 It is an automatic mixer that supports continuous production of various bakery products. Established in the year 2000, at Navi Mumbai, Maharashtra, India, we, "Miranda Automation Private Limited," is manufacturer, exporter, and supplier of Bulk Food Handling & Processing System, Sugar Pulverizer, Invert Sugar Syrup Sugar Solution, Continuous Mixer, Pre Creamer Machine, Caramel System, Minor Ingredient Dosing System, Automated Confectionery Plant and PLC & SCADA Based Industrial Automation. These are fabricated using the premium quality raw material. With the assistance of our team of professionals, we are able to manufacture and supply a broad range of industrial machines to our wide client base. Our highly experienced team of professionals strive hard to understand the needs of clients and provide all the products as per the same. Moreover, these products are well-tested by our professionals on various parameters before being dispatched to our clients within the committed time frame. We also provide after sale services for this equipment as per the requirements of our clients.